The Spanish central monetary authority is Banco de España, which serves as the national supervisor of banks in Spain within the framework of the EurozoneEurozoneAll European Union countries that adopted euro as their national currency form a geographical and economic region known as the Eurozone. The eurozone forms‘s Single Supervisory Mechanism (SSM). Established in Madrid in 1782, Spain’s central bank is currently a member of the European System of Central Banks. The Spanish banking system is fully integrated with international financial markets and includes credit, stock and money markets, as well as markets for derivatives. Foreign banks with authorization in another EU member country and plans to establish a branch or representative office in Spain do not need to get authorization from the country’s central bank. Banks in Spain and foreign companies are subject to the same conditions of access to the Spanish financial system. Moody’s Investors Service gives the Spanish banking system a stable outlook, as the agency expects a continued decrease in problem loans and stable profitability in 2017 and 2018. The rating agency’s outlook also indicates the creditworthiness of banks in Spain in the next 12 to 18 months. 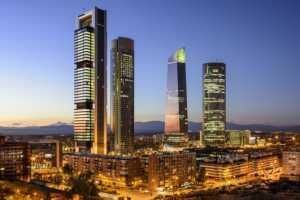 For anyone considering a career in banking in Spain, this list of top banks in Spain is a helpful guide on where to start. 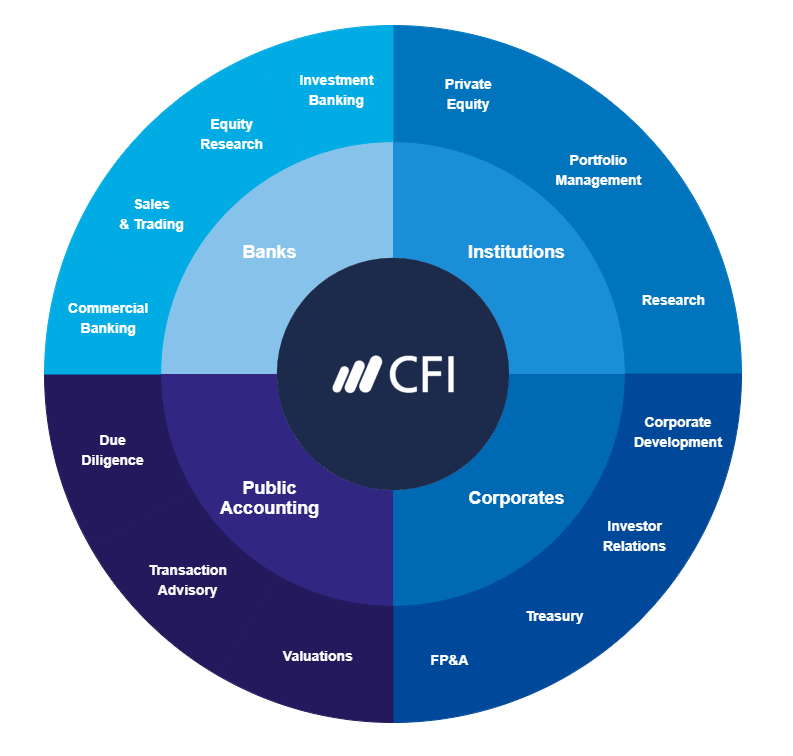 To learn more, see our extensive list of financial institutionsCompaniesLists of the main players in corporate finance. We've got lists of the most important financial services companies, banks, institutions, accounting firms, and corporations in the industry. Browse these guides to prepare for a career in financial services and start networking today to accelerate your career. Established in Santander in 1857, Banco Santander is the largest of the banks in Spain. Since 2000, the Spanish banking group’s been expanding through many acquisitions. It operates across Europe, South America, North America, and Asia. In May 2016, it ranked 37th in the Forbes Global 2000 list of the biggest public companies in the world. Banco Bilbao Vizcaya Argentaria, S.A. (BBVA) is a global financial group and is the second largest of banks in Spain. It is a product of the merger between Banco Bilbao Vizcaya and Argentaria in 1999. Founded in 1857, the bank provides financial services to 72 million customers in over 30 countries. BBVA operates a huge network of branches all over the world. Aside from being a leading bank in the Spanish market, it is the biggest financial institution in Mexico. It also maintains a strong presence in South America, the Sunbelt region in the US, and Turkey. CaixaBank is the third-largest lender by market value in Spain. It also operates the most extensive branch network in the country, servicing 15.8 million customers through 5,397 branches. Formerly known as Criteria CaixaCorp, CaixaBank is a Spanish financial services company with headquarters in Valencia. Aside from universal banking and insurance, the bank owns shares in oil and gas firm Repsol and telecommunications company Telefónica. Banco de Sabadell is the fifth-largest Spanish banking group and is composed of several banks in Spain, associated banks, brands, and subsidiaries. It offers financial services to small and medium enterprises, as well as the upper class that is engaged in international trade. The bank was founded in 1881 by a group of 127 businessmen and traders from Sabadell to support local industries. Headquartered in Alicante, Spain, the universal bank operates a network of 2,767 domestic and 669 international branches, servicing 11.9 million customers as of 2016. Spanish bank Bankia was founded in 2010 after seven savings banks in Spain – Caja Madrid, Bancaja, Caja Canarias, Caja Ávila, Caixa Laietana, Caja Segovia y Caja Rioja – were consolidated into an Institutional Protection Scheme (IPS). During a deep economic downturn in 2011, the Fund for Orderly Bank Restructuring (FROB) took 100% ownership of Bankia. Banco Popular Español provides a range of banking products and services through four segments – commercial banking, asset management, insurance, and real estate and institutional and market area. With headquarters in Madrid, Spain, it oversees a network of 1,739 branch offices, servicing clients not only in Spain but also in Portugal, Mexico, and the US. Founded in 1926, Banco Popular Español used to be the sixth-largest banking group in the country. However, in 2017, it was bought by Banco Santander as part of a rescue package. With headquarters in Madrid, Bankinter was founded in 1965 as a Spanish industrial bank that was a joint venture between The Bank of America and Banco de Santander. In 1972, it transformed into a commercial bank and listed on the Madrid Stock Exchange. In 1993, Bankinter became the first of digital banks in Spain, after it successfully launched electronic banking services in Spain. As of 2017, it operated a network of 48 private banking centers, 22 corporate banking management centers, 72 business centers, and 364 universal offices, serving almost 69,000 customers. In 2012, financial institutions Bilbao Bizkaia Kutxa (BBK), Gipuzkoa Donostia Kutxa (Kutxa), and Caja Vital Kutxa (Vital) stopped operating as savings banks in Spain and merged to form KutxaBank. The merger came after a long period of internal deliberation and integration, based on the deadline set by the Spanish Government. The bank currently operates in Andalusia and Extremadura. In 2014, the European stress test that measures solvency in times of credit crises revealed that KutxaBank was the top bank in Spain. Created by the Rural Savings Banks, Caja Rural Group consists of 74 members and 4,000 offices in the country. The group’s credit cooperative bank, Cajas Rurales, offers a range of specialized and personalized banking products and services, utilizing local in-depth market knowledge and maintaining close connections with regional territories. Headquartered in Malaga, Unicaja Banco provides retail banking services mainly in the southern part of the country. The Spanish savings bank was founded in 1991, following the merger of five similar financial institutions in the country.